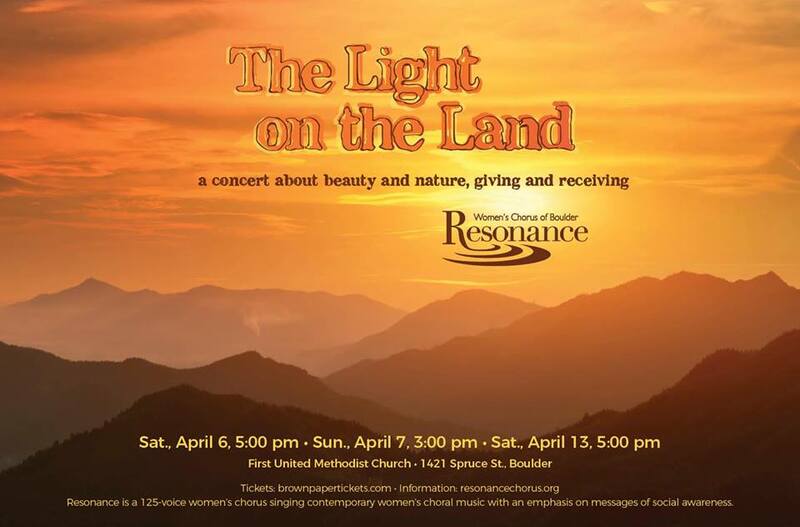 Some of our incredible friends from Right Relationship Boulder will be performing in this beautiful concert performed three times: April 6 at 5:00 pm, April 7 at 3:00 pm, and April 13 at 5:00 pm. The directors have also offered to give RRB the space to make a short presentation and offer an informational table. The program includes music by brilliant contemporary choral composers including Craig Hella Johnson, Joan Szymko, Jake Runestad, David Brunner, and Ola Gjeilo, as well as singer-songwriters Jane Siberry and Susan Crowe, Rodgers and Hammerstein, and more, with settings of poetry and text by Mary Oliver, Elizabeth Bishop, Wendell Berry, Carl Sandburg, Susan B. Anthony, and Dorothy Walters. This program is not intended for children; audience members should be happy about sitting in rapt attention for two hours. Much of the beauty in a program like this comes in the softnesses.